A wedding monogram is one of my favorite elements to incorporate into a wedding invitation suite. They can be used throughout your wedding like a logo to establish your wedding brand. Likewise, they are so versatile. Here are 9 of the possible ways to utilize a wedding monogram. 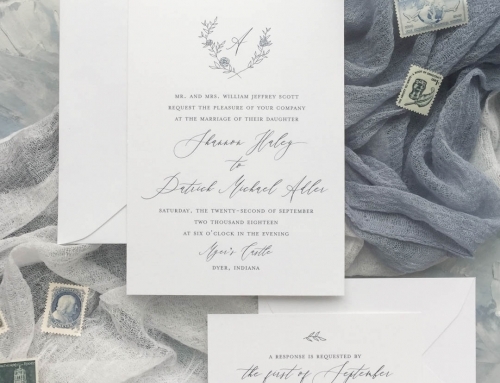 First, the obvious idea is to include your monogram on your invitation. The monogram can be incorporated into a crest or it can stand alone. Also, a custom monogrammed envelope liner is a gorgeous addition whether your invitation includes your wedding monogram or not. 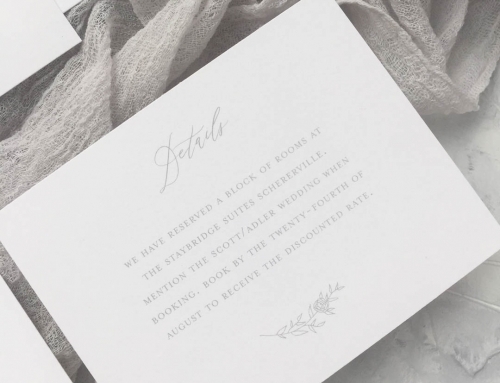 In addition, another way to incorporate a wedding monogram into your invitation is with a tag that is tied with silk ribbon. This ties your entire suite together…literally. So far, I’ve only talked about embellishments to your invitation suite. 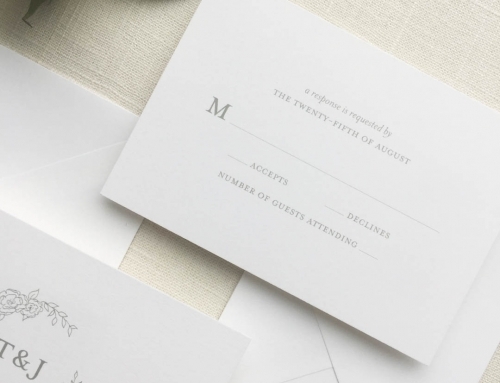 However, wedding monograms can also be used in your day of paper goods to create that wedding brand I mentioned. The best way to incorporate them into you ceremony is in your ceremony program. There are so many fun ways to use your wedding monogram in your reception! For instance, monogram koozies are cute and incredibly useful for guests to hold their cold drinks. Also, this is a personal favorite because I collected koozies in college! Additionally, another great way to incorporate your wedding monogram into the reception is on cocktail napkins. This is such a useful element that will be impossible for your guests to miss! Okay, get ready. Above all, this is one of my absolute favorites. You can have monogrammed cookies! You can include them on your dessert table or send them home with your guests as wedding favors. How adorable are these cookies made by Erin Martin from ECBG Studio?! She is so incredibly talented! Erin creates gorgeous custom wedding cakes, celebration cakes, cookies, and cupcakes. Similarly, you can embellish any kind of favor with your wedding monogram by using a monogram favor tag. That’s a perfect way to continue that wedding branding through branded packaging. 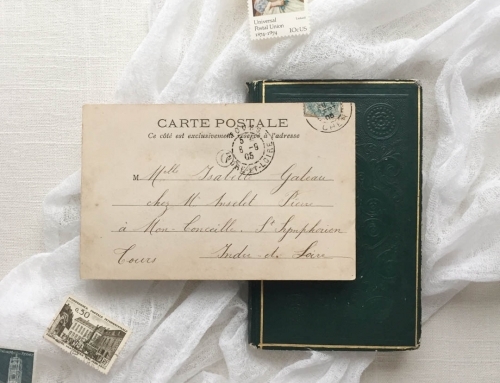 Lastly, the best way to extend that wedding brand after your wedding (and for many years to come) is to have thank you cards made with your wedding monogram. I love the way wedding monograms look, and I also love creating them. Get in touch, and we can start talking about your custom monogram! Love al of these! What great ideas!